Simon is your local Newcastle Building Inspector. Simon is one of our NSW building inspectors servicing the Newcastle area. Simon has extensive knowledge of the building industry with over 10 years’ experience in both commercial and residential building work. Simon began his journey in construction wanting to follow in his farther’s footsteps as a builder. At the young age of 16, he started his carpentry apprenticeship, where he began to learn the technical side of the building industry. After the completion of his apprenticeship, Simon went on to work in the industry, where he was appointed the lead carpenter looking after many residential projects, commercial fit outs and construction research labs. 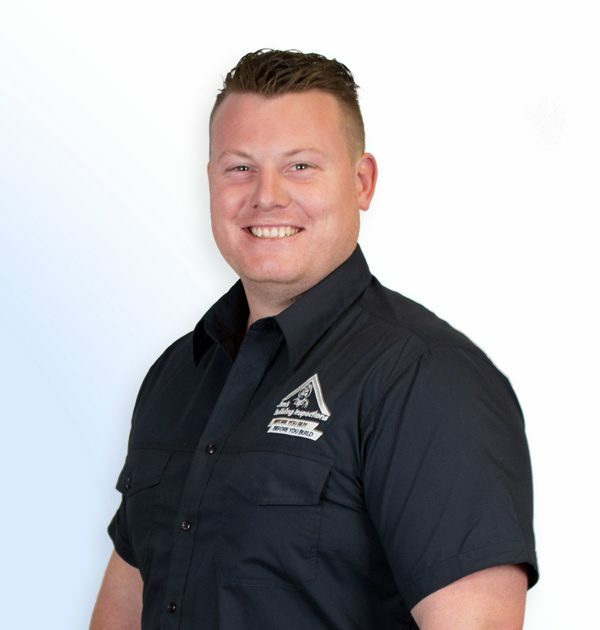 Simon always wanted to extend his knowledge of the building industry, and later went on to further his education, successfully attaining his Certificate IV in Building & Construction. Prior to starting his journey with Jim’s, Simon worked as a project manager, running large construction projects with budgets of up to $1.5million. Simon decided to join the Jim’s Group to achieve a better work/life balance. After the birth of his daughter, Simon realised that working 12 hour days was no longer his priority, and being a member of the Jim’s Group gives Simon the flexibility to be more family orientated. In addition, Simon was looking to expand his skill set and embrace the great opportunities that owning a JBI franchise has to offer. In Simon’s spare time he enjoys camping, 4WDriving and dirt bike riding. These activities allow his family to get away from the rat race and to enjoy the outdoors without the distractions of today’s technology.